As the young band continues their circuit with The Browning’s Finally Free tour, they are a mixture of excited, overwhelmed, and exhausted. 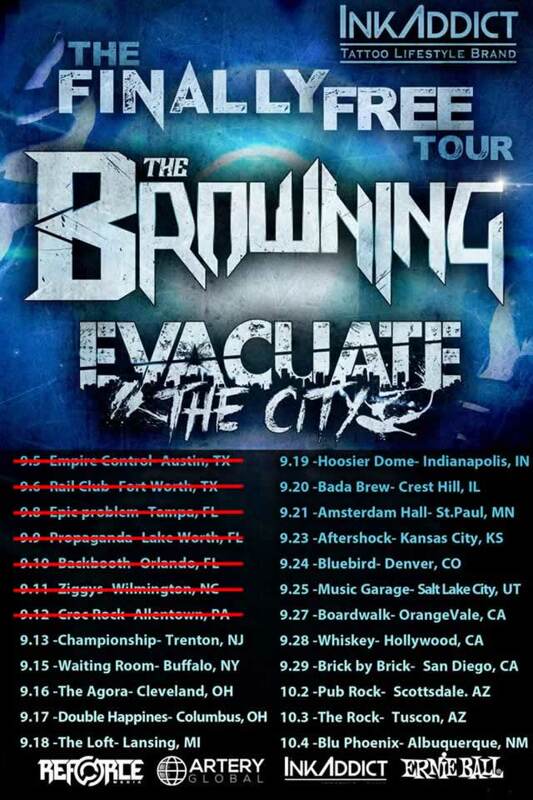 The Browning started the tour in Texas, our boys did not meet up with them until the third show, in Tampa. From there they came to Propaganda in Lake Worth, FL where Laurie, Kerri and I, along with a few friends met up with them. We enjoyed a great show with three local bands warming up the crowd but ETC really brought down the house. The mosh pit went wild and t-shirts were flying off the Merch Table. ETC really knows how to get the crowd excited. 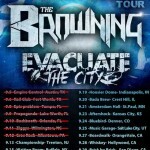 I am sad to say, we had to leave before the headliner, The Browning, took the stage. it was a week night and we all had to get up early for work in the morning. As a proud parent of one of the band members, Kyle, I have to say, it is really cool to see random people come up to your son and ask for a photograph and/or autograph. I also have to give props to the rest of the band, they are really wonderful guys and really look out for each other. 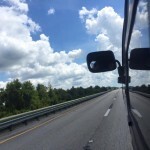 They’re going to need that camaraderie for the tour as the six of them will be spending a month together on the road in some pretty tight quarters (the tour van). 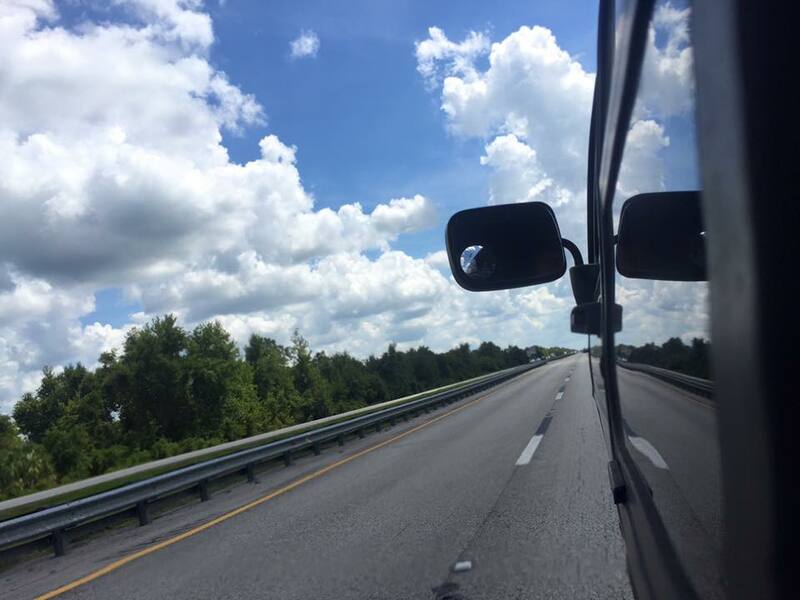 I love this pic of the van heading to their North Carolina gig, posted by Mark. Mark said the NC show was their largest so far, the venue held 1000 and they packed them in. The surprising thing about this show is the crowd not only knew their music, they were singing along and making requests. Too cool. The tour has kept the guys pretty much, non-stop. The arrive, they unpack, they play, they pack and they hit the road for the next show and repeat. Because of this, updates are few and far between as any “spare” time is taken up by taking a turn at the wheel or catching some sleep. Grueling, to be sure but they wouldn’t trade the experience for anything right now.